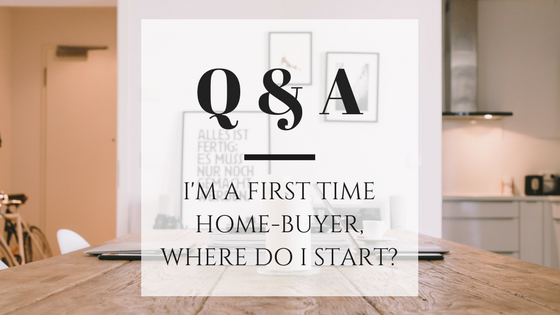 We get asked so many questions from first-time home buyers about the buying process and where to start. We thought we would compile a list of the most commonly asked questions and answer them all. This is part one, so leave a comment below with any real estate or loan questions that you would like answered. Q: HOW DO I FIND A (GOOD) REAL ESTATE AGENT? A: Purchasing a home is one of the biggest (if not the biggest) purchases you will ever make. That being said, it is so important to find a real estate professional who is experienced. There are thousands of real estate agents in San Diego and in this market especially, we are seeing many buyers lose out on homes with multiple offers because they, unknowingly, are not putting their best foot forward. When looking for an agent, it is important to interview a few. It is crucial to know the agents’ track record and experience level, especially in a competitive market- what is their success rate with getting offers accepted for their clients? Our business is hugely based on referrals and word-of-mouth. Ask your friends and family who have had great experiences buying or selling a home, and do your research online (Zillow reviews, etc.). Be sure to do your research and don’t fall into the ‘shiny object’ trap that a lot of the larger websites are offering. Q: HOW DO I FIND A LENDER (LOAN OFFICER)? A: Just as you would with searching for an agent, interview a few different lenders and compare what they can offer you. If you are considering using a larger institution for your home loan (Chase, Wells Fargo etc. ), we always recommend interviewing a private mortgage lender as well. Lenders are a crucial part in a real estate transaction and it is imperative that they work hand-in-hand with your agent and yourself throughout the transaction. Q: HOW CAN I FIND OUT IF I’M QUALIFIED TO BUY A HOME? A: By speaking with a lender, you can typically find out if you are qualified to purchase a home by answering a few questions. Once you determine if you may be qualified, a lender will request documentation from you and run your credit to further determine what amount you may qualify for. Q: WHAT DOES IT COST TO HIRE A REAL ESTATE AGENT? A: If you are a home buyer, you do not pay an agent anything at all! Buyer’s agents work for you until they find you a home. Once escrow has closed, buyer’s agents are paid by the seller. Q: WHAT ARE THE COSTS ASSOCIATED WITH PURCHASING A HOME? - Closing Costs: Dependent on your loan terms, taxes etc. Closing costs typically amount to 1.5% of the purchase price, but may vary. Call us or your lender for more information on closing costs credits etc. - Escrow Fees: Typically split between the buyer & seller. Many escrow companies charge roughly $2 per thousand (of the purchase price) + a $200 base fee. Q: I’VE HEARD OF SELLERS PAYING FOR BUYERS’ CLOSING COSTS- IS THIS SOMETHING WE CAN ASK FOR IN OUR OFFER? A: Absolutely! But, every offer and home on the market is situational and should be discussed with your agent. For instance, if you are in a seller’s market and the property has multiple offers, it may not be advisable to request credits from the seller in the initial offer. Q: HOW DO THOSE CREDITS WORK? DO WE GET A CHECK AT CLOSE OF ESCROW? A: Credits from sellers for repairs, closing costs, etc., can only be received through escrow. This means you can not receive monies outside of escrow, they must apply towards your closing costs. For example: if your total closing costs are $7000, and you need a repair that totals $2000, both parties may agree on a credit bringing your total closing costs down to $5000. Q: WHAT IS ESCROW AND HOW DOES IT WORK? A: Click here for a blog post we wrote on the Escrow process. A: Lenders use the appraisal to determine the appropriate loan amount. An appraisal is a written estimate of a property’s market value completed by an appraiser. The value is based upon a market analysis of recent sales prices for similar properties in the area, and the property’s physical condition. The appraisal is performed by an appraiser, an objective third party whose job is to give their professional opinion of the market value of a home. An appraisal is the appraiser’s opinion of the property’s value based on their knowledge and evaluation of the property. Q: WHAT HAPPENS IF THE APPRAISAL COMES IN LESS OR MORE THAT WHAT WE OFFERED? A: A higher value will not have an impact on the loan approval process, but a lower value will, if the value is lower than the actual sales price of the property. Options for dealing with a low appraisal include increasing the buyer’s the down payment to make up the difference between the appraised value and the purchase price, or the seller can lower the purchase price. Q: WHO PICKS THE HOME INSPECTOR? A: The home inspector is hired and chosen by the buyers. It is important to hire a trusted and diligent home inspector. Your real estate agent can recommend a few home inspectors and you can read reviews online. We hope we answered your questions! Please send us any questions you may have and we will be sure to answer them in our next post.